Transformational gift will improve science facilities, enhance undergraduate research. Butler University alumnus Frank Levinson ’75, a longtime Butler benefactor whose past gifts enabled Butler to upgrade its science programs and purchase its first supercomputer, is generously providing the University with a new $5 million gift to support the sciences. Enrollment in the sciences at Butler has increased nearly 50 percent over the last decade. Levinson’s gift will be integral to the transformation of Butler’s science teaching and laboratory spaces, building on the University’s undergraduate research emphasis—recognized by U.S. News & World Report as among the best programs of its kind in the nation. The new facilities, designed to complement those of local and global science and health/life sciences companies, will enable Butler to collaborate more fully with and provide talent to these firms as well as prepare students for further study in the best graduate and post-professional programs. Levinson grew up in Indianapolis and he and his family have a deep, multigenerational relationship with Butler University that goes back nearly 70 years. Levinson earned a Bachelor of Science in Mathematics and Physics from Butler in 1975, and in 2006 he received an honorary doctorate. His father, Alan C. “Buzz” Levinson, received his Master of Science in Education from Butler in 1953, during which time he helped install and align the telescope at Holcomb Observatory. Buzz frequently brought young Frank along, helping kindle Frank’s interest in science and optics. Levinson’s mother, Winifred B. Levinson, received her Bachelor of Arts in French from Butler in 1951, and his brother Carl A. Levinson received his Bachelor of Science in Physics and Mathematics in 1978. 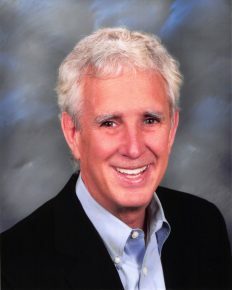 Levinson is an entrepreneur and investor who co-founded Finisar Corporation, a manufacturer of optical communication components and subsystems. He is currently the Managing Director of the early stage fund and incubator Small World Group, which engages in a mixture of venture capital, engineering, and philanthropy to help start companies or research efforts with a focus on “clean tech”—technology that helps improve the quality of life on earth. He also is a partner in the San Mateo, California-based venture capital fund Phoenix Venture Partners, which invests in start-up teams developing advanced materials innovations for major industries such as photonics, health care, and sustainable products. In 2007, Frank Levinson enabled Butler to establish a partnership with the Smithsonian Tropical Research Institute (STRI), which affords Butler undergraduates opportunities to study in Panama with scientists who conduct long-term ecological research addressing nearly every aspect of tropical biodiversity from genetics, physiology, and ecology to the structure and function of ecosystems and the biosphere. The supercomputer—essentially two 7-foot by 3-foot racks of processing units that run hundreds of times faster than a conventional desktop computer—has enabled faculty and students to do advanced research, transform the teaching of math, computer science, and the sciences at Butler, and been a key selling point in the recruitment of the next generation of computer programmers.